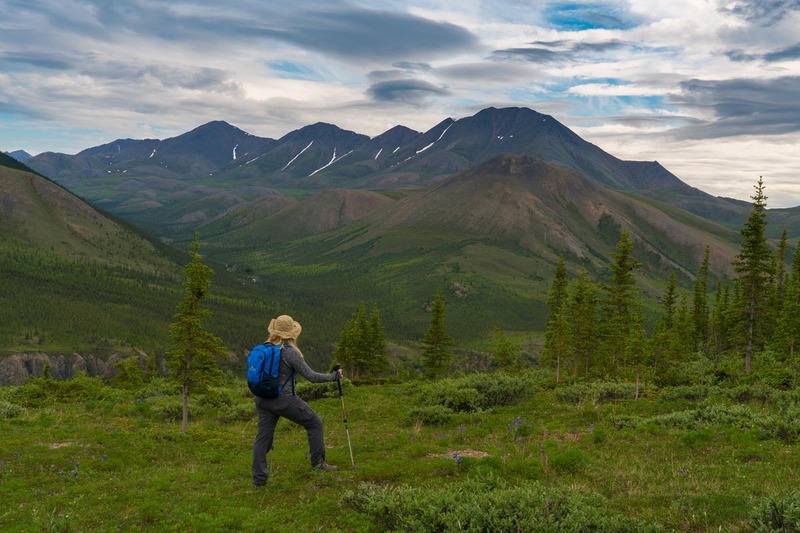 Ivvavik National Park in Yukon, Canada receives fewer visitors than Mount Everest each year. 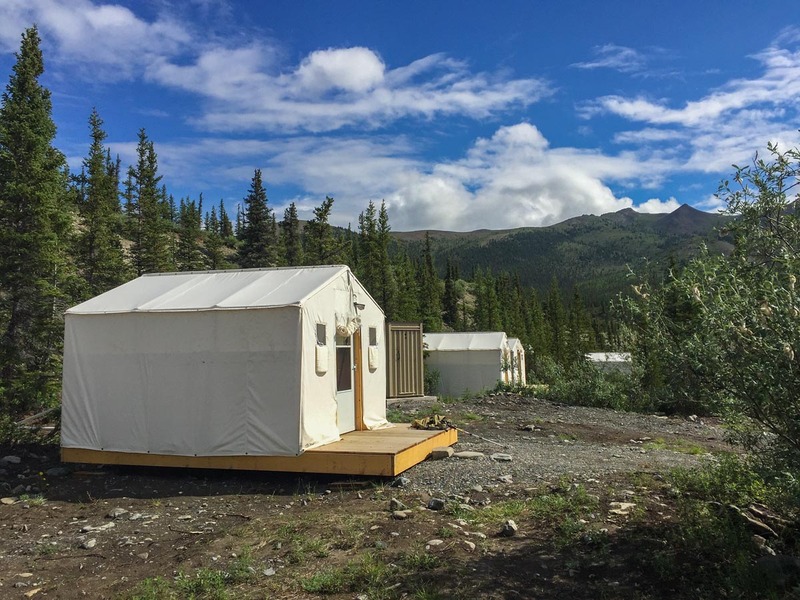 Located on the northern tip of Canada, Ivvavik has opened its doors to visitors with a unique base camp experience run by Parks Canada. It allows “regular Joes” like us a chance to experience the true Canadian wilderness with a bit of comfort and ease. If you've never been backcountry camping before and think that you are not qualified to survive on your own in the wilderness (like most people out there) this is the trip for you. 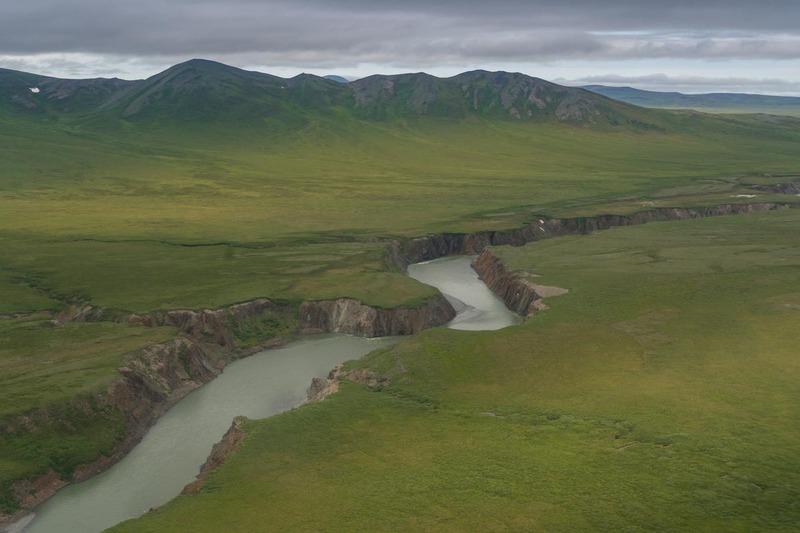 You can take a guided trip to the far reaches of Canada in safety and comfort with Parks Canada to Ivavik National Park. 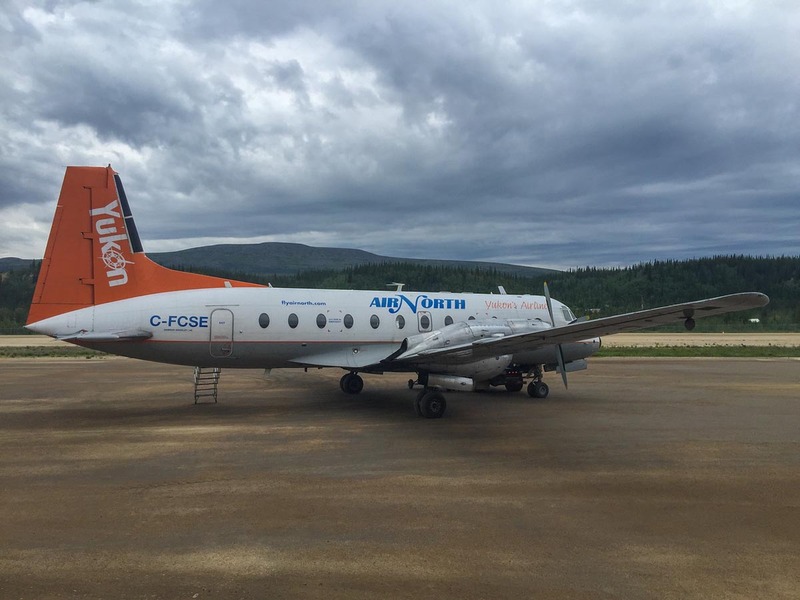 We flew into Whitehorse, Yukon after a long flight from Toronto, Canada via Vancouver. With a quick overnight stop in we then boarded another early morning flight for the long journey north. 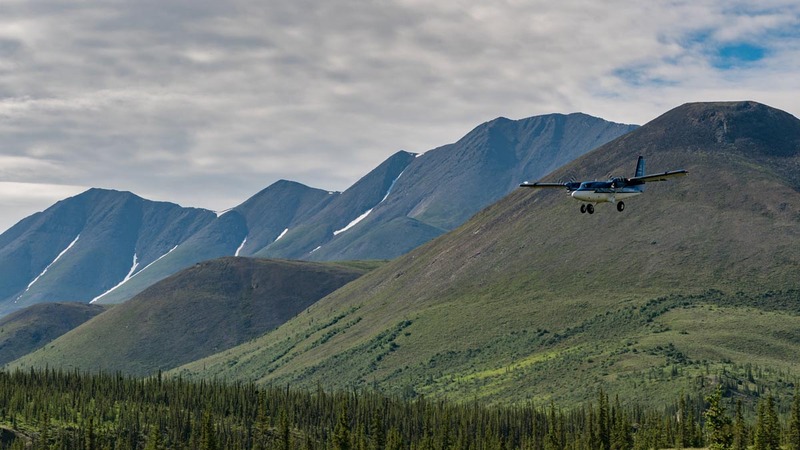 It took three stops, three different meals, three speedy bathroom breaks at three remote airports before finally making it to the Canadian Arctic town of Inuvik, Northwest Territories from Whitehorse, Yukon. 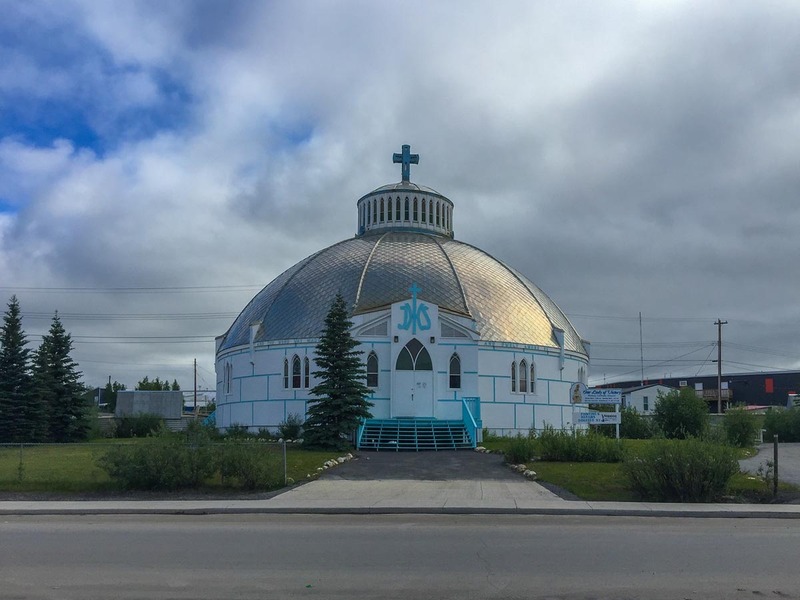 Inuvik is the meeting point for tours going to Ivavik National Park. 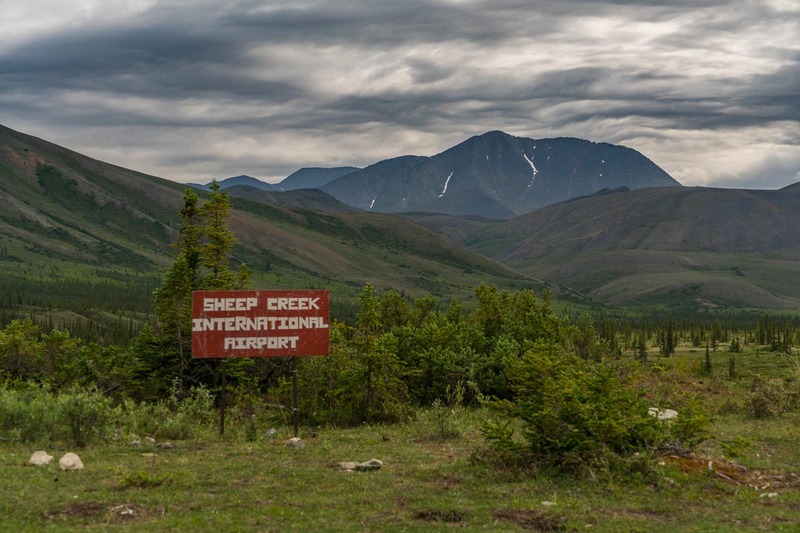 This once flourishing petroleum town is now a quiet destination that is used as the jumping off point to explore the surrounding wilderness or to drive the Dempster Highway. Don't let the brochures or the Inuvik Tourism website fool you, Inuvik's colourful painted houses are long gone (I don't know why they stopped painting them with bright colours). It's now lined with generic timber homes with a few overpriced hotels and even pricier meals. 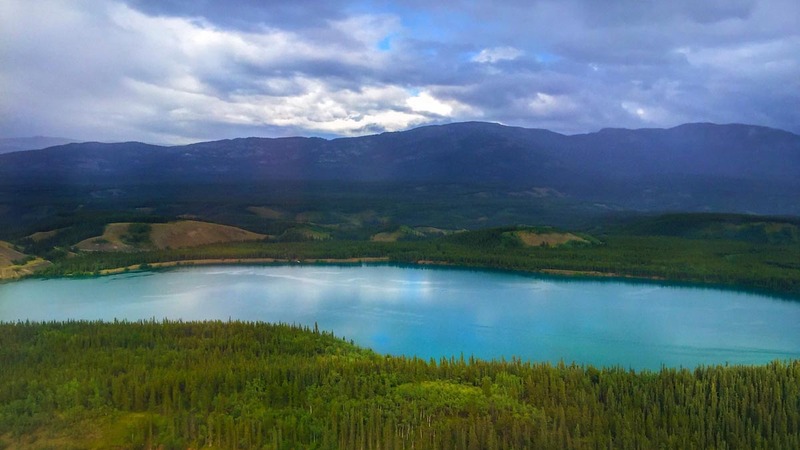 But for a town north of the Arctic Circle, it is worth visiting to talk to the locals and see why people choose to live in such a remote region of Yukon, Canada. 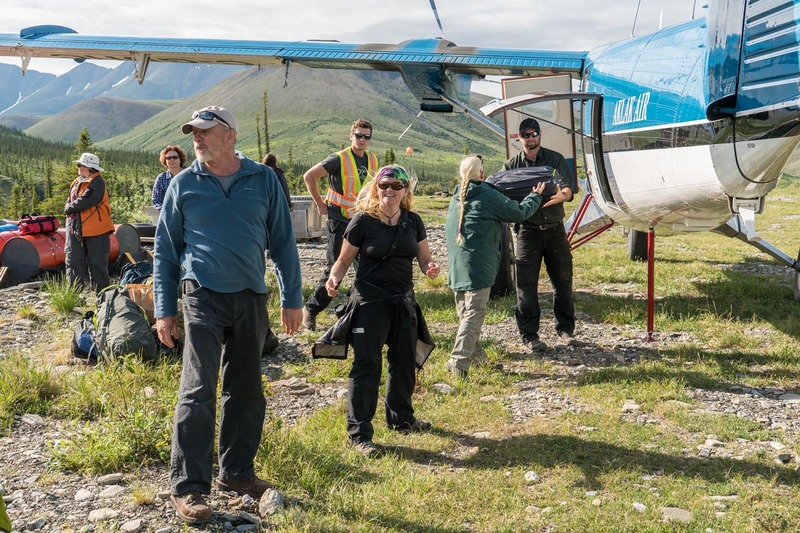 Parks Canada offers base camp tours to Ivvavik leaving from Inuvik during the summer months. It's a new program they are offering giving visitors the chance to explore these secluded destinations with relatively little outdoor skills or experience. If you want the ultimate bragging rights, but haven't spent a lot of time backcountry camping, this is the way to go. We boarded a Twin Otter early in the morning to our destination. This was now our sixth flight in two days! If you think getting to Australia from Toronto is difficult, try heading to the Canadian Arctic. 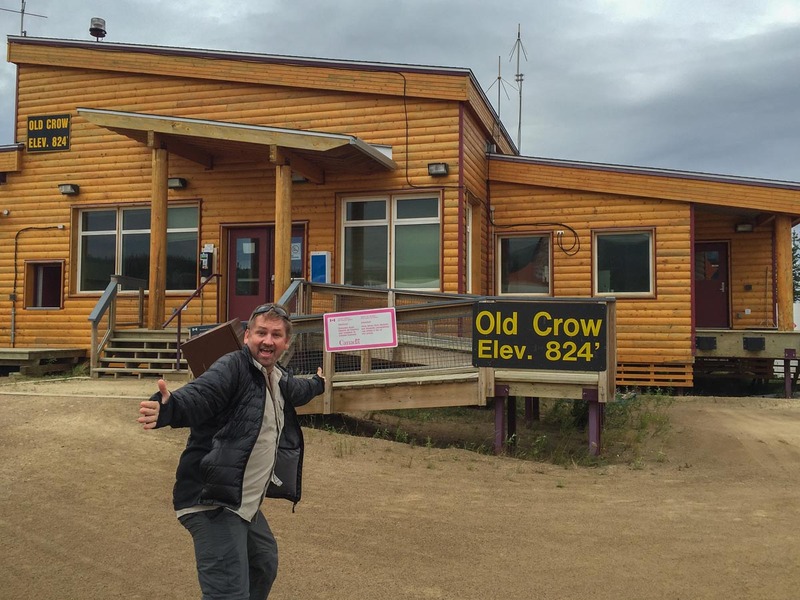 We had nearly three days of transit to get to the far edge of the Yukon Territories and we hadn't even left the country! We felt like true adventurers for this trip. Seeing the massive Mackenzie Delta from the sky was worth every bit of discomfort. 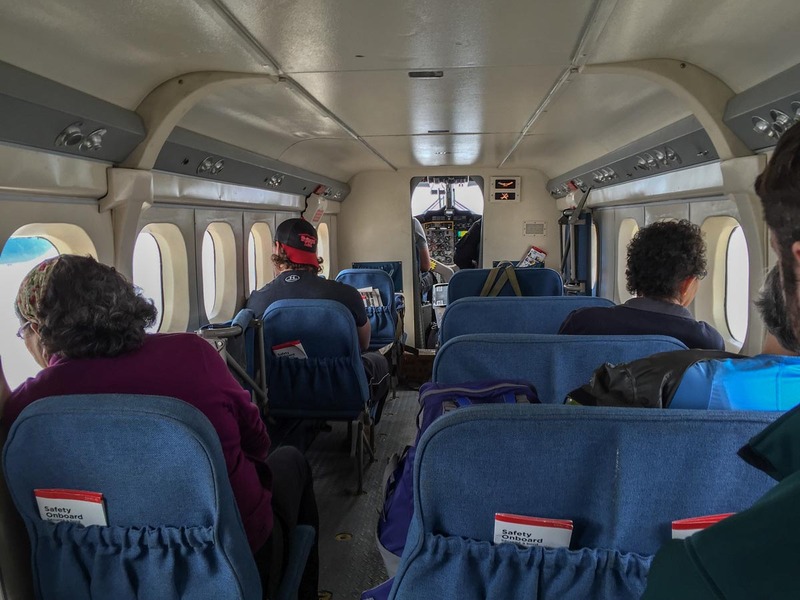 We had the privilege of stopping at Herschel Island before our flight to Ivavik National Park. 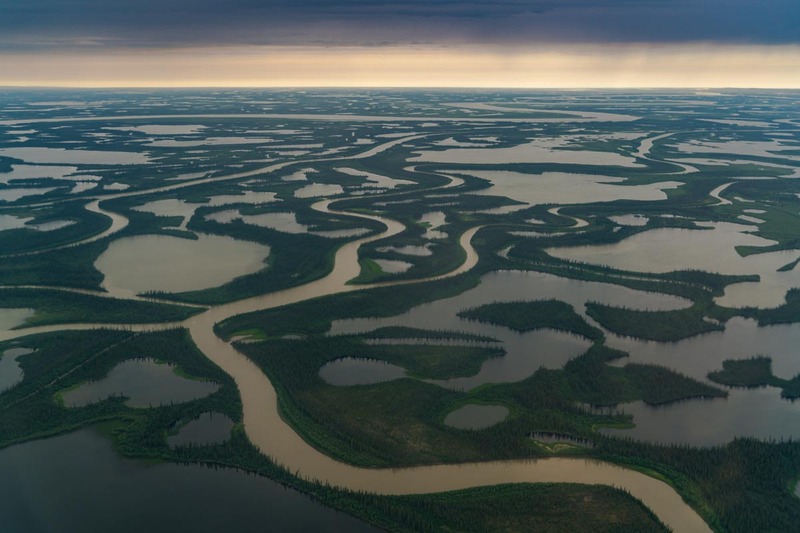 Herschel Island is located above the coast of Yukon, Canada in the Beaufort Sea (a part of the Arctic Ocean). This island was once a whaling station and there are still relics and monuments from the old whaling days. 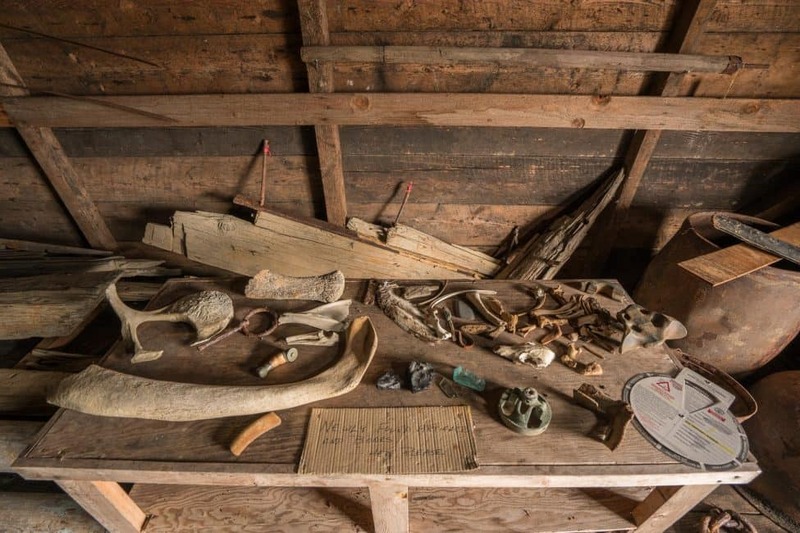 There are whale bones, old boilers, bunk houses and the Yukon's oldest building. 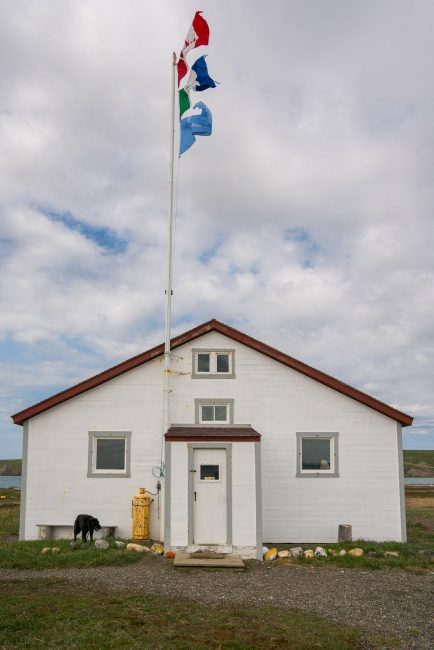 The RCMP was stationed here at the turn of the 20th century and the office is now used by Park's Canada as their base. We went for a hike with our Inuvialuit guide who took us through the buildings, but also along the coast and over the ridge. We saw muskoxen in the distance and even looked at an old icehouse used to store fish and ice through the summer. Fresh fish was hanging on a line to dry and we all had a taste of the rich and salty flavour. We spent about three hours on the island. I loved this experience and would have loved to be able to spend the night. There's plenty of wildlife to see and our guide Freddy told us that there is even a polar bear that was inhabiting the island for the summer. We said our goodbyes and then it was back on the plane to our final destination Ivvavik National Park. 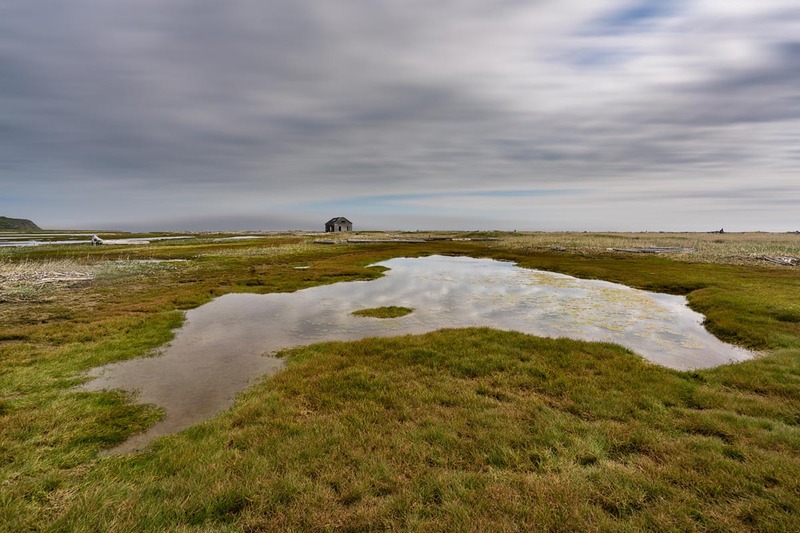 What makes this park unique besides its remote location is that it is the first national park in Canada to be created as a result of an Aboriginal Land Claim Agreement. 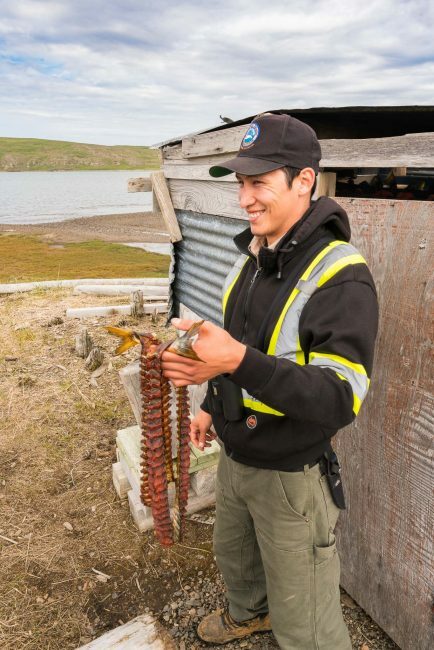 When you visit Ivvavik, you will not only have park rangers with you from Parks Canada, but you will also have a local Inuvialuit cultural guide and Inuvialuit cook so that you can try traditional food of the region. 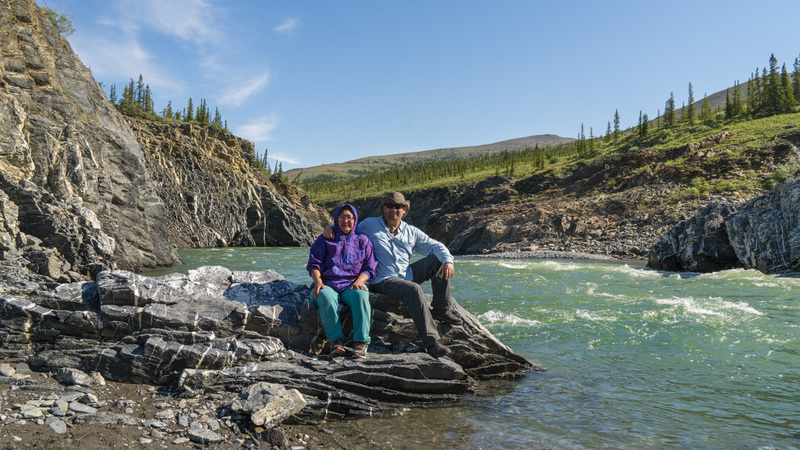 Our guides told us of their childhoods and how they used to hunt and fish on this land that is now a Canadian National Park. The airstrip is located on high ground above camp. Our gear was unloaded onto an ATV and we all walked down to Base Camp located on the river. We were now in the heart of grizzly bear country, but were completely safe as the camp is surrounded by an electric fence. All precautions are taken to keep bears from being attracted to the accommodations. We kept all “smellies” (things like toothpaste, shampoo, food) outside our tents in metal bear-proof containers away from where we sleep. 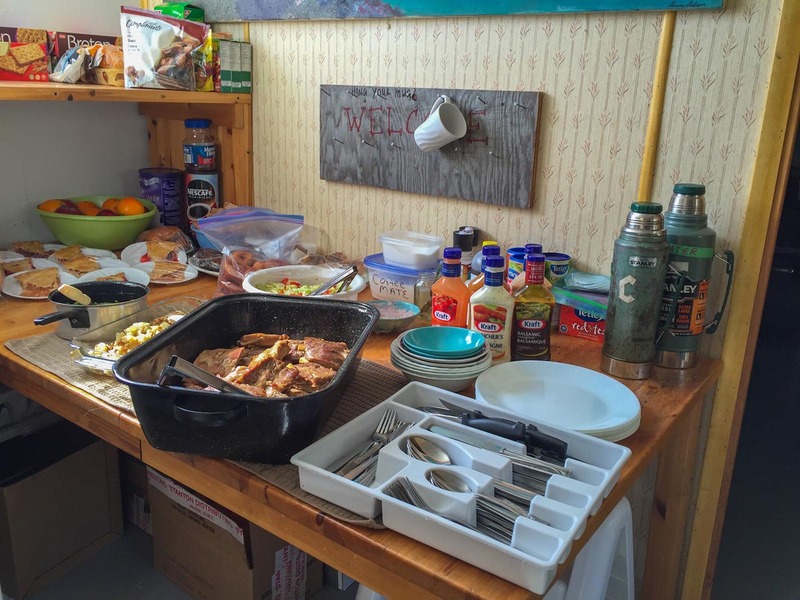 Cooking is done in the main cabin kitchen and the park rangers are well trained in bear safety. When inside the compound we were free to walk around where we kept a close eye on the river and ridge in search of grizzlies. We wanted to see them bad. The days at camp consisted of going for hikes to take in the views and see if we could spot some wildlife. We trekked with two rangers carrying bear bangers and noise makers should we happen across a grizzly or two and they had a shot gun for any rare or extreme circumstances. We're happy to report, we didn't need to resort to either measure. 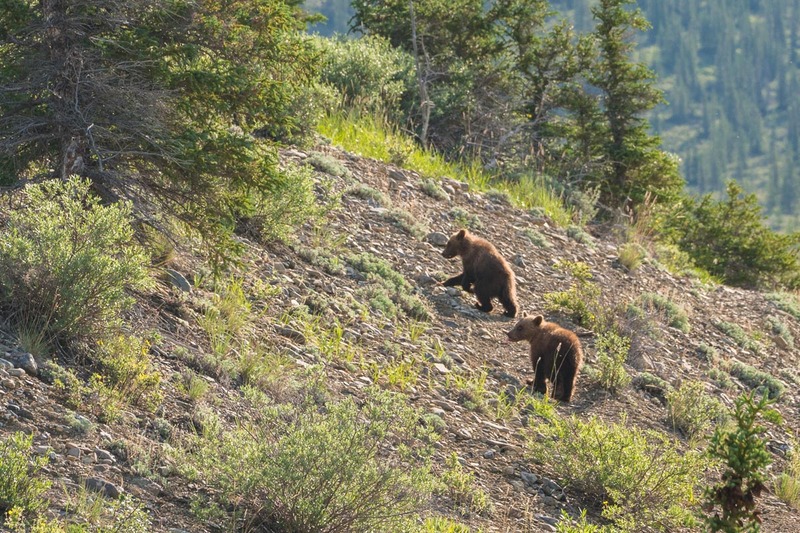 However, we were on high alert as the blonde grizzly (Bertha) had been roaming the area quite a bit with her two cubs. Parks Canada decided that it was too much of a risk, so all lowland hikes across the river were cancelled to give Bertha a wide berth. You don't want to come between a mum and her cubs on the trail. Instead we hiked up on the ridge to keep a lookout for bears. We ended up seeing four bears in total. One grizzly walked across the river the evening we arrived while we lay in bed after our long journey. We had no idea what time it was as it is always daylight this far north in the summer. We managed to snap a couple of shots before it lumbered off. Grizzly bears look like they saunter and move slowly, but they cover a lot of ground quickly. Before we knew it, he had walked completely out of sight. Our next grizzly encounter happened while sitting on a high ridge. While sitting down to enjoy the view, our guide saw movement far off. It took me forever to see what she was looking at, but after several tedious minutes of listening to her directions, I finally saw a bear walking through the bush. I seem to always be the last to spot wildlife. When we were in Yala National Park in Sri Lanka, I never did see the leopard before it climbed the tree. We hoped that the bear would come closer, but it was definitely settled in for the day and didn't move far from where we originally saw it. No snapshot this time, but we did take turns watching it through the binoculars. We spent four nights at base camp. I felt that it was one too many. The camp isn't set up like other expedition camps. There isn't a common room where you can relax and watch the scenery outside. You either have to be standing by the fence fending off mosquitoes or you are inside a small cramped kitchen with no windows for viewing. The rest of our time was spent in our prospector's tent relaxing or sleeping. Parks Canada has done a few upgrades to the facilities. Apparently past trips were spent in regular dome tents. These prospector's tents had screen doors, wooden floors and Ikea beds. It was definitely posh for the middle of the wilderness. 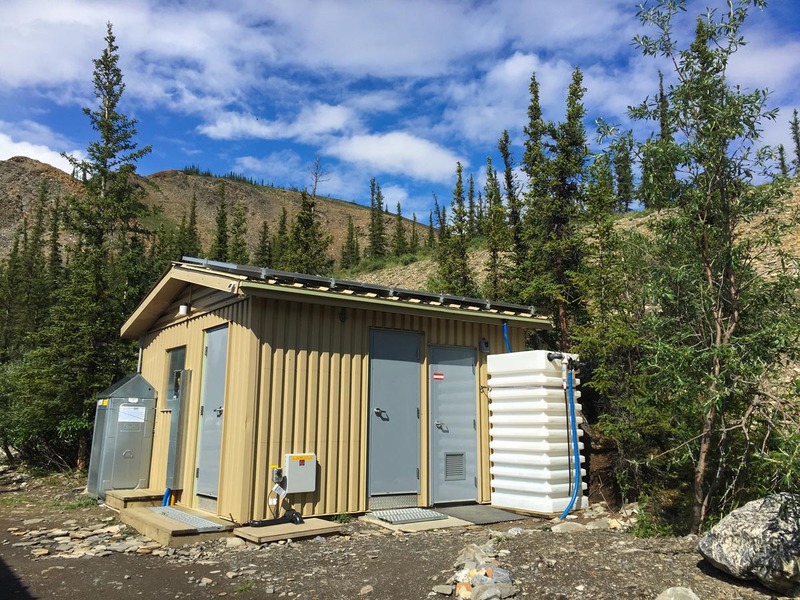 Modern day toilet luxury in Sheep Creek Basecamp. They have excellent bathrooms with flushing toilets, running water and even hot water for showers. You never get running water and toilet facilities in the middle of the wilderness. But his toilet facility is state of the art. It's run by solar power and leaves no footprint on the environment. It was exciting to be able to go to the bathroom without having to sit in a wooden outhouse like our usual backcountry experiences. We hear that they are upgrading the main lodge with a larger kitchen, open seating area, and screened-in porch. I think this will help the experience greatly. I had a bit of cabin fever. With half the hikes being closed and Dave having a severely sprained toe, we ran out of things to do quickly. We joked that our trip to Ivavik became more about eating and sleeping than exploring the great outdoors. There was no shortage of food at the site. Our cook, Bonnie spent all her days cooking up feasts for us and we bonded at nights playing cards. 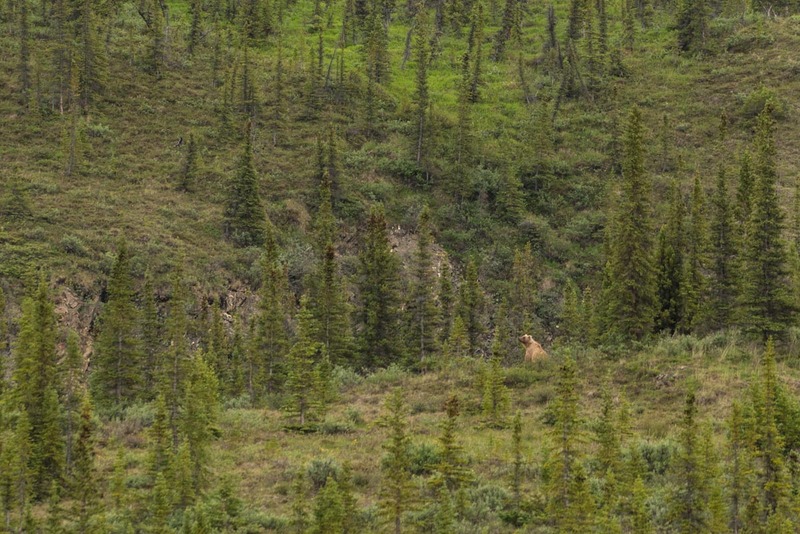 When the final day came, we were a little disappointed that we didn't see a grizzly bear up close during our time in Yukon, Canada. But, as if Bertha could feel our regret, she showed up on cue with her two cubs. As we waited for our flight to come in, we spotted Bertha walking along the river with her cubs. At first we thought she would walk right on by, like the first bear that came our way, but she doubled back and jumped into the water following after her babes. They knew we were there. They were too close not to see us. With our cameras poised, we snapped photos and videos giddy with excitement. So as to show off even more, Bertha decided to cross the river and pass right in front of our camp. She was so close, our guide started to worry and stood poised with bangers in his hand and rifle slung behind his back. He wasn't taking any chances. 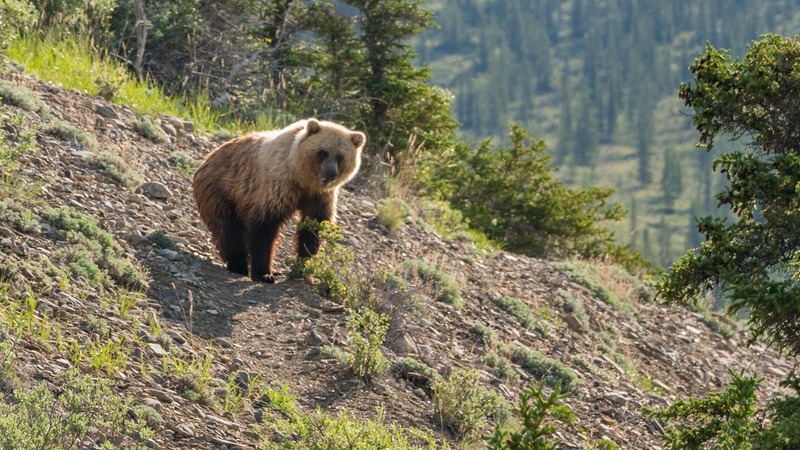 The Rangers told us that they have never had such a great grizzly encounter at that camp. It was the perfect way to end the trip and that one sighting made up for the closed trails, the lack of luck with other wildlife spottings and the cabin fever of being stuck inside. Bring a bug jacket – mosquitoes here are unlike anything you will ever encounter. If you want to spend any time outside, have a mesh cover for your head, face and hands. Wear long zip off pants – this helps for mosquitoes but weather can also change quickly in the Arctic. What may start out as a cool morning, can turn into a blistering hot day. You need to have the option to cool off or warm up. Pack layers – waterproof outer layer, warm mid layer and base layer for hanging out at camp or sleeping in. Think of Cold Nights – It can get quite chilly at night – So bring layers including a hat and buff for your neck. Bring sturdy hiking boots that are waterproof. A lot of the tundra is boggy and mossy. You will get wet and there are river crossings. Carry a lot of socks – One for each day. This is your time to over pack socks. But, pack light for everything else. This isn't a fashion show, you don't need a change of clothes for each day. One change will do in case your clothes get wet or dirty. The twin otter plane can only hold so much. 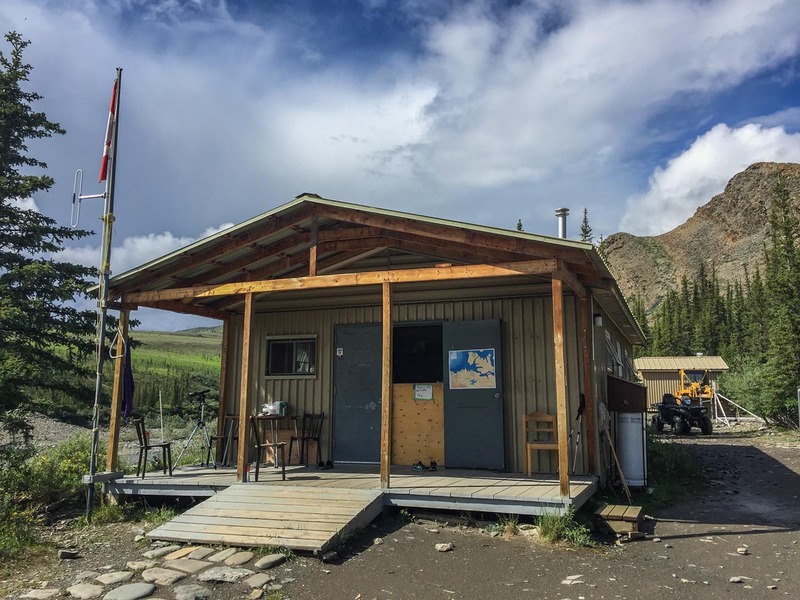 There is a weight limit, but hotels in Inuvik will let you store your luggage or you can store luggage at the Parks Canada office. 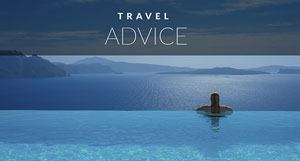 Pack insect repellent, sunscreen and chapstick. Bring a book, cards and portable charger for your cameras and electronics. 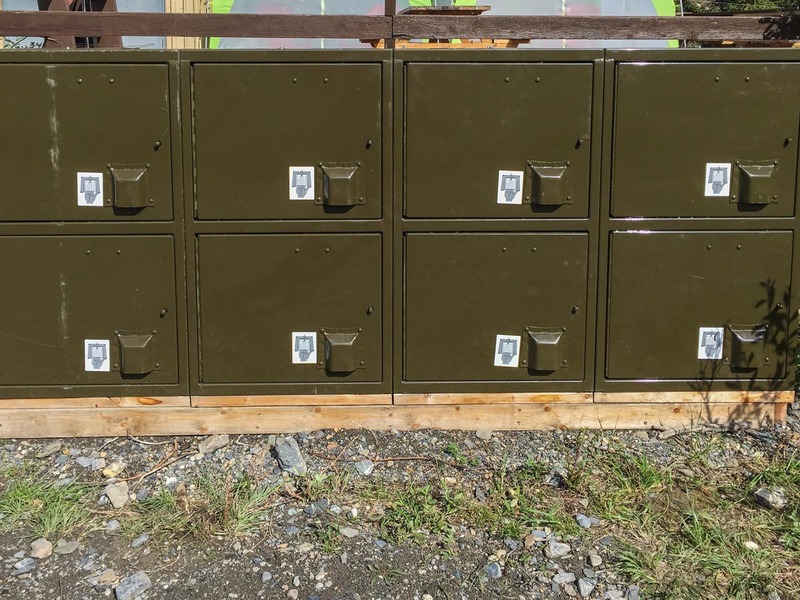 There is a charging station inside the lodge as well, but no electricity in the tents. You'll want a watch or a phone to check the time. With constant day light you'll never know what time of day it is. Bring an eye mask for sleeping. There is constant sunshine. If you want some beer or wine, bring it in. There is no alcohol in the base camp. It's not recommended, but we could have done with some wine at dinner. 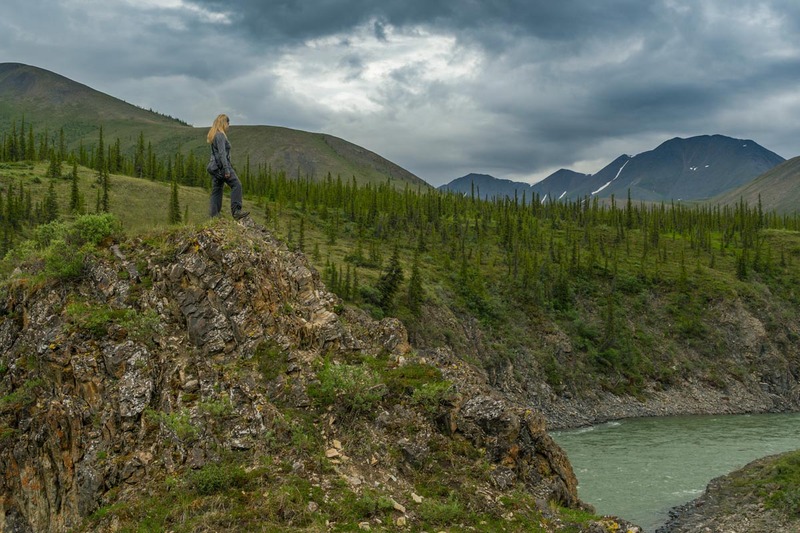 Visit Yukon Tourism for more information on Travel to the Yukon and Ivavik NP. 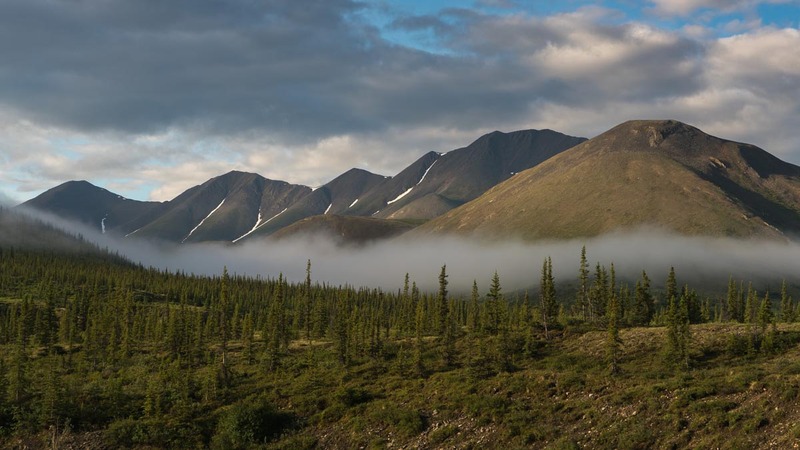 17 Responses to "Ivavik National Park: Falling in Love with the Rugged and Remote"
I JUST SIMPLY LOVED THAT MORNING MIST & YOUR BEAUTIFUL CAMP. 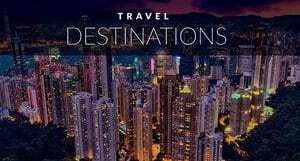 THANK YOU FOR SHARING YOU EXPERIENCED THROUGH ARTICLE SO THAT EVEN WE READER ALSO CAME TO KNOW THAT HOW PRETTY IS CANADA. This looks amazing! Great views. I was thinking which place in Canada I would go this year for Canada’s 150th. And I think doing a backcountry in Yukon would be much interesting since only few people would go there. Thank so much for this info! You should do it! A drive up the Dempster Highway is outstanding too. such a wonderful places where you can witness those God’s creation and peace of yourself in no time! Ivvavik National Park in Yukon Canada so lovely and picturesque. Wow!! Your article good to see. The amazing places of canada looks great. Thank you. 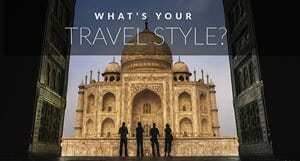 Awesome posts, this is amazing destination for the tourists. 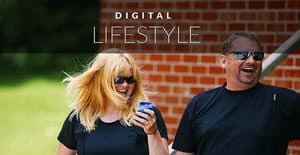 Thanks for this awesome article…. it is very knowledgeable for us.. This is AMAZING guys!! Canada is high on the list… planning to spend most of our summer revealing the best of Canada! Wow, this place is so beautiful and lovable. we all must have to visit this place once.